AP RGUKT IIIT Merit Lists or Selected Candidates list in District wise for Nuzvid, RK Valley (Idupulapaya),Ongole, Srikakulam IIIT Six year integrated B.Tech Counseling details at admissions.rguktn.ac.in : The RGUKT IIIT Six year integrated B.Tech admissions Selected Candidates list 2017 announced by Rajiv Gandhi University of Knowledge Technologies from eligible 2017 SSC/10th Class Students in Andhra Pradesh State. The RGUKT IIIT Online application Submission will be closed on June 2017 for admission into 1st year of its 6 year integrated B.Tech programme at RGUKT Nuzvid and R.K. Valley IIIT’S. The RGUKT had totally 2000 Seats for admissions in to 1st year 6 year integrated B.Tech programme at RGUKT IIITs located at Basar, Nuzvid and R.K. Valley IIIT Campus in Andhra Pradesh. The RGUKT will Received totally 25000 online applications for the 2 IIIT Campus admissions every year. The Rajiv Gandhi University of Knowledge Technologies will be Released the provisional selection lists for AP RGUKT IIIT Admissions 2017 official Website of http://admissions.rguktn.ac.in . 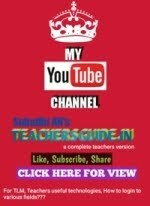 Who was applied to the RGUKT IIIT 2017 admissions the Candidates will Check their results with Registers number in the list of provisionally selected Candidate Lists 2017. Who is Successfully Submitted their RGUKT IIIT application 2017 the Candidates Will Check the RGUKT Final Selected Lists 2017 for attend RGUKT IIIT Counseling 2017 Certificate verification. Rajiv Gandhi University of Knowledge Technologies (RGUKT) Andhra Pradesh has planned to announce AP RGUKT IIIT UG Selection List 2017. The candidates who scored good marks in the 10th Standard and Interested to study in IIIT’s have forwarded the application forms. In Andhra Pradesh there are total four IIIT’S campuses has available at IIIT Nuzuvid (Krishna District), IIIT RK Valley (Kadapa District), IIIT Ongole and IIIT Srikakulam. The authorities of Every IIIT Campus provides admissions for Under Graduate and Post Graduate Courses every year. IIIT Nuzuvid Provisional Selection List will release on 28th June 2017. A huge number of candidates have eagerly waiting for the release of AP RGUKT IIIT Selection Merit List 2017. Finally, we are here to share the good news with you, the officials will activate the direct link to check Andhra Pradesh RGUKT UG Admissions 2017 Selection List at the authorized site rgukt.in. Andhra Pradesh RGUKT UG Admissions 2017 Selection List holds the names of the aspirants who are eligible to participate in counseling. 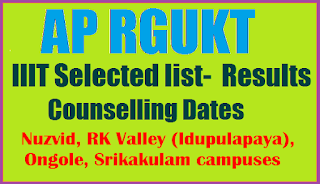 AP RGUKT IIIT Counseling Dates information has also available here. AP RGUKT IIIT UG Selection List 2017 of All IIIT’S Campus in Andhra Pradesh has going to be release on 28th June 2017. The official website rgukt.in will shortly activate with the direct link to know, AP RGUKT IIIT Selection Merit List 2017. The counseling process and document verification will start in the Month of July 2017. 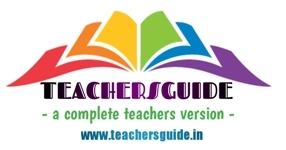 To help the candidates we have collected the link from the authorized site and activated below to check Andhra Pradesh RGUKT UG Admissions 2017 Selection List.